Essentially Foodini is a very clean system that pushes food down the capsule, through the nozzle, and prints it. A precision control system moves the capsule in a very accurate way, creating shapes which then can be stacked layer upon layer to become truly 3 dimensional creations. Foodini uses state of the art technology, hardware & software, and the power of the internet so that making your new creations is easy as pie. Center piece, side dish or garnish, Foodini augments and elevates the capabilities of your kitchen. Creations can be served or plated directly, baked in the oven, frozen, dehydrated... as you wish. Once you have your favorite dish optimised you can save it on the Foodini Creator app and print it precisely time and time again. From savoury snacks to sweet sensations. 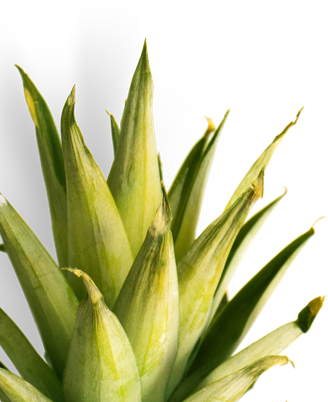 Foodini can print out almost any type of ingredient. Your food: elevated! Foodini can print directly onto any flat surface that fits inside. That surface can be a special dish, stone slate, a cookie or on a birthday cake topper. Custom icing has never been easier or more accurate! Foodini comes pre-loaded with preset shapes and creations, but with Foodini Creator you can easily create your own. Foodini Creator is our easy-to-use print application which comes pre-loaded on Foodini. 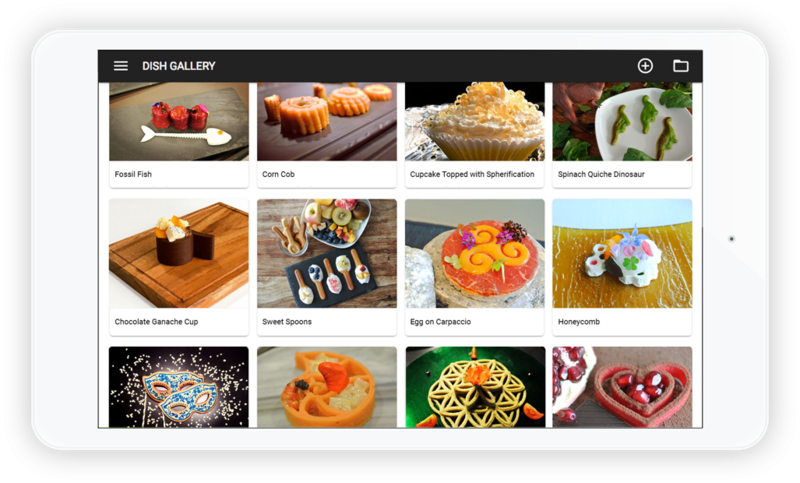 Use the shape libraries to start designs and recipes, or create them from scratch with Foodini Creator tools. 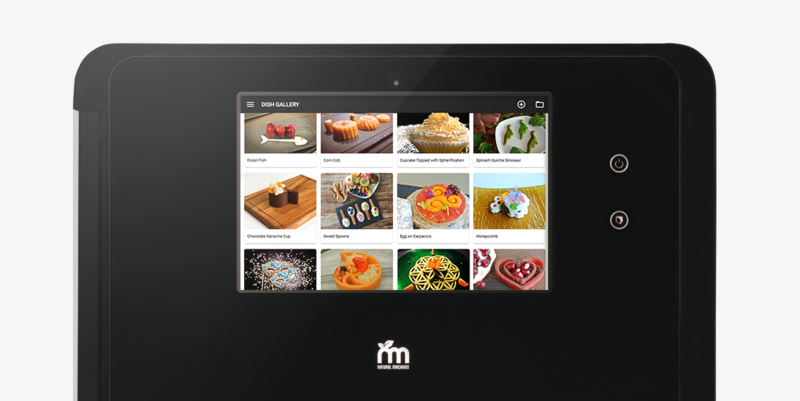 Foodini Creator can also be used away from Foodini on a tablet or laptop so you don't have to be standing in the kitchen in front of Foodini. Relax and create your prints in a comfortable chair or sofa away from the kitchen. 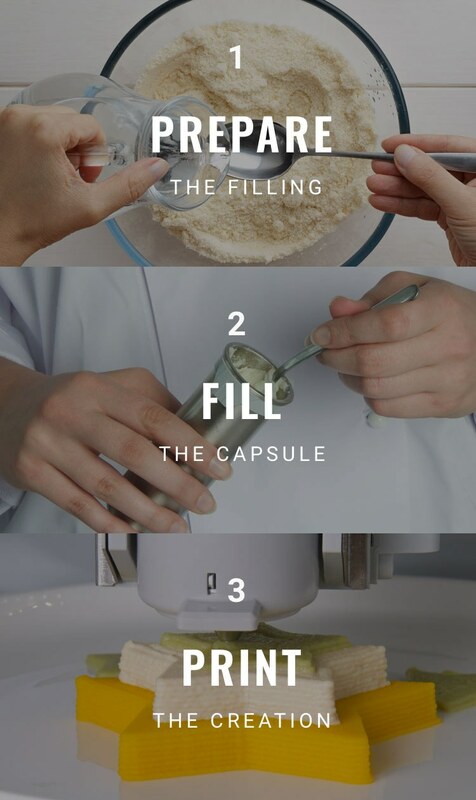 From the day we started Foodini, we built it to be a kitchen appliance: it's made from food-grade/safe materials. Our long life stainless steel food capsules will not retain food scent or flavor. Use them over and over again with your fresh ingredients. 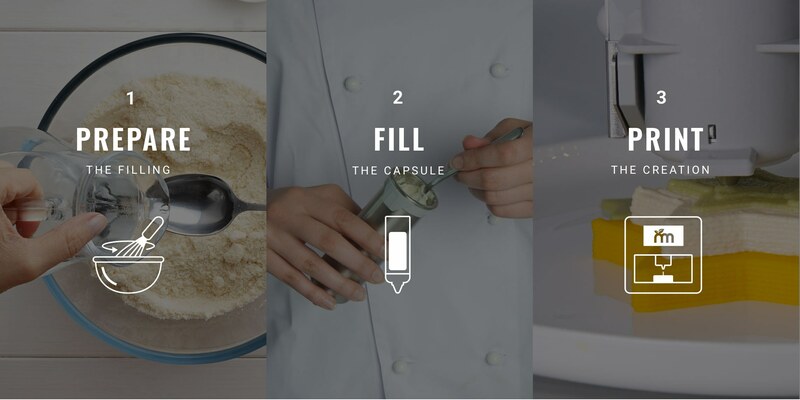 Foodini has room for up to 5 food capsules that automatically exchange as needed to create multi-ingredient prints. Foodini comes with different nozzle sizes which means you can print with different food textures. 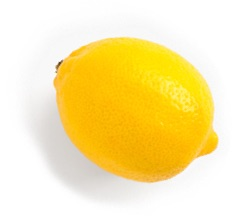 We don't like kitchen appliances that are hard to clean, and we're sure you don't either. Dishwasher safe parts and wipe down surfaces keep your Foodini clean. Foodini is a WiFi IoT (Internet of Things) connected kitchen appliance; always have the latest and greatest software. Easily interact with Foodini via the onboard intuitive touchscreen, or connect via WiFi from another tablet or laptop. Foodini Creator is our easy-to-use print application which comes pre-loaded on Foodini. Use premade designs or create them from scratch.